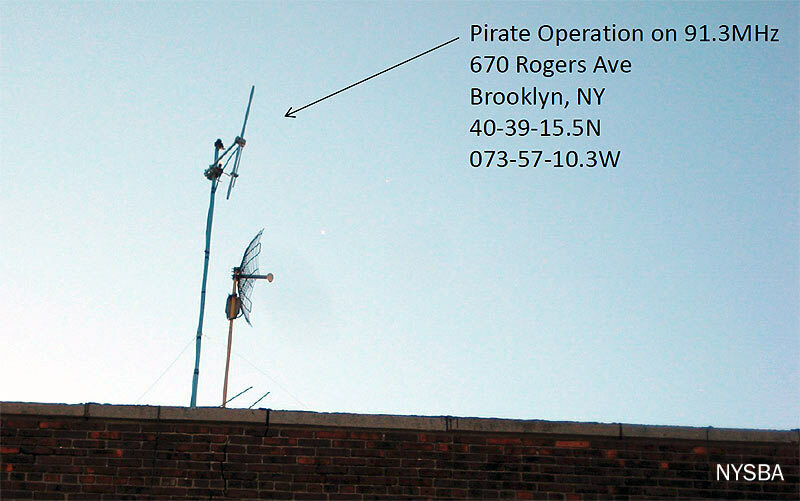 Will the new data help NYSBA make its case to state lawmakers and to the FCC to put scarce resources into a more concerted effort to get pirates off the air? *How many sportscasters can truly say they became the iconic voices of their markets? 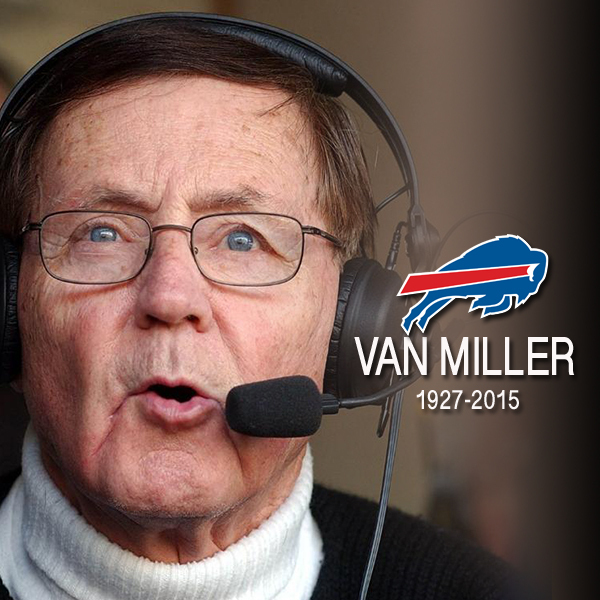 Gil Santos and the Patriots in Boston, Harry Caray and the White Sox and Cubs in Chicago, Jack Buck in St. Louis, Vin Scully in Brooklyn and then LA… and to that list, you’d surely have to add Van Miller, the longtime voice of the Buffalo Bills who died Saturday at 87. Miller was a part of the Buffalo broadcast market as far back as 1955, when he started as a summer replacement announcer on WBEN (930) after having cut his teeth at home in Dunkirk on WFCB (now WDOE). When the Bills started playing in the AFL in 1960, Miller was tapped to call the games on WBEN, and for decades he became a fixture in the booth. Except for a brief period from 1971-1977, Miller remained the Bills’ play-by-play voice through the team’s Super Bowl seasons and beyond, finally retiring from the booth in 2003. That alone – a longer relationship between broadcaster and team than any other NFL club in history – would have ensured Miller the Hall of Fame legacy he enjoyed. But Miller’s relationship with Buffalo went far deeper. His “Fan-demonium” and “Fasten Your Seatbelts!” calls extended beyond the Bills to Braves basketball in Buffalo’s NBA days, Bisons baseball, college sports and beyond. Miller hosted bowling shows on Buffalo TV, spent 16 years at the helm of “It’s Academic!,” the high school quiz show, and, oh yeah, he was also the sports director on WBEN-TV/WIVB (Channel 4) for many years until his retirement from that gig in 1998. Miller was added to the Bills’ Wall of Fame last year. So far, no public memorial service has been planned. * First up, the surprise sale of Connoisseur Media: Petrus Holdings, part of Ross Perot’s Texas-based empire, announced Wednesday that it’s partnering with Jeff Warshaw and the current Connoisseur management team to acquire the company and its 42 stations. No terms were announced for the deal, which will keep Warshaw in charge as his original funder, venture capital firm Farallon, exits. Will Petrus put more money behind Warshaw’s expansion plans for Connoisseur, which have recently focused on what it calls the “Golden Ring” surrounding New Jersey? The company has made some dramatic moves in recent years, acquiring Buckley’s Connecticut stations and WALK-FM, the former Clear Channel station on Long Island that had been in a divestiture trust for years. 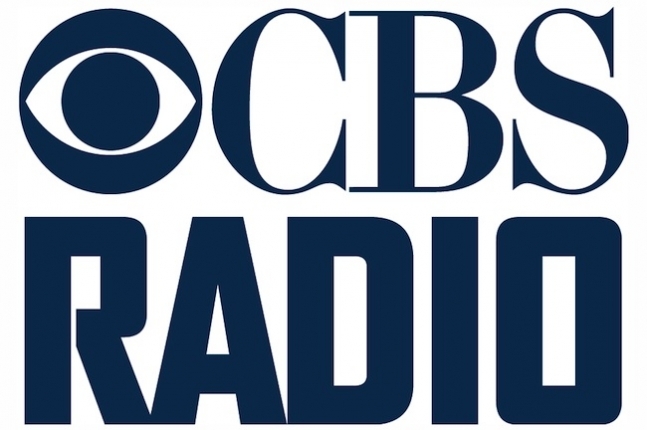 *There’s no question CBS Radio is cutting back on staffing, but some caution is in order about some of the most hyperbolic trade-media reports making the rounds. Has the company really cut 200 or more jobs since the start of the year? Perhaps – but in a stealthy way, for the most part. In New York, the most visible cut is at WWFS (Fresh 102.7), which now has precisely zero fulltime air personalities since the quiet dismissal a few weeks ago of Kim Berk, the surviving half of the “Jim and Kim” morning show that Fresh imported from Long Island. Across the hallway at WCBS (880), it’s emphatically not true that all part-timers have been let go; indeed, the only apparent change there for now is the addition of a full 30-minute CBS Evening News simulcast at 6:30 weeknights and an increased use of sports reporters from sister station WFAN (660/101.9) downstairs. In Philadelphia, Vince Hill is out a few years ahead of his planned retirement as business editor at KYW (1060); Hill had been with KYW since 1979, when he came on board as the station’s youngest anchor. On Martha’s Vineyard, WMVY (88.7 Edgartown) wasted no time completing its power increase. After returning to the FM dial last year with 580 watts/83 m DA, WMVY is now blasting away with 13 kW/83 m DA, a bigger signal than it ever had in its commercial days on 92.7 (the facility that’s now WBUR’s relay, WBUA). Up the dial, community LPFM WVVY-LP is applying to move from 93.7 to 96.7. Sad news from Boston: Dr. Murray Feingold was a fixture for decades on WBZ (1030) and WBZ-TV (Channel 4) as the stations’ health reporter. But Feingold, who died Friday at 84, was more than just a warm presence on the air. He was also a prominent researcher in both genetics and pediatrics, serving as the chief physician at Waltham’s Feingold Center for Children and founder of the Genesis Foundation for Children. Feingold was inducted into the Mass. Broadcasters Hall of Fame in 2004, a well-deserved honor for a kind, decent man who helped to pioneer broadcast health reporting. 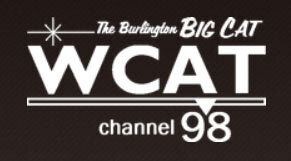 A surprise format flip from Steve Silberberg’s cluster in Burlington, VERMONT: after running comedy on WCAT (1390 Burlington) and WRSA (1420 St. Albans), the newly-renamed “Burlington Big Cat” relaunched last week with a mix of ’50s/early ’60s oldies and classic country. And why is it “Channel 98”? Because it’s now also being heard on W252CJ (98.3 Burlington), which runs 220 watts from the WCAT tower site in Burlington’s Intervale neighborhood. We’re still waiting for the shoes to finish dropping at the 101.9 spot on the NEW YORK radio dial, where Randy Michaels’ Merlin Media group took over WRXP from Emmis Communications on Friday. Here’s what we know so far: WRXP in its current form came to a close Thursday, as the jock lineup (Steve Craig, Leslie Fram, Matt Pinfield, “Drelio”) exited the station and said their on-air goodbyes. The music continued into Friday, when it was replaced by something called “101.9 FM New,” which at least for the weekend appeared to be a female-friendly hot AC mix. The week may also bring new calls to 101.9, which has requested “WEMP” (perhaps for the “EMPire State”? ), a set of calls more familiar from their longtime use in Milwaukee. But what of the domain names that were registered for “WYNY” on 101.9? As always with Michaels and the programmers he’s assembled, it’s hard to tell what’s smokescreen and what’s real until it becomes official. Whatever the new 101.9 format will be, it didn’t materialize this morning: the “FM New” programming continued with longtime 101.9 veteran Paul Cavalconte hosting and former WINS (1010) traffic voice Jeff McKay giving the traffic information – but, as of yet, no sign of the news or talk that’s been rumored for the station. *Radio People on the Move: Aaron Read has exited the GM post at WEOS (89.7 Geneva) after four years on the job – and he’s headed all the way west to become chief engineer at KCSB (91.9) at the University of California, Santa Barbara. (That explains why the column is coming from New Mexico this morning; your editor hit the road with Read, a longtime friend, to help him get to the West Coast quickly – and to experience the majesty of a coast-to-coast road trip. Expect some interesting Tower Site of the Week installments soon…) Back at WEOS, station manager Greg Cotterill has taken over from Aaron. It was a bad week at NEW YORK’s Black Rock – but even more so for more than a hundred CBS Radio staffers around the country, including some veterans of the company, whose jobs were cut in a mass layoff. Among the biggest names in New York City to fall under the budget-cutting axe were Chad Brown, general manager of “Jack FM” WCBS-FM (101.1 New York) and Rob Barnett, president of programming at CBS Radio. Out in Los Angeles, where he led KROQ to revenue dominance, general manager Trip Reeb (a veteran of Rochester’s WCMF, way back when) lost his job. WSPK (104.7 Poughkeepsie) has a new morning guy – Chris Marino moves north from WLDI (95.5) in the West Palm Beach, Florida market to take the spot last occupied by “Woodman,” who’s reportedly leaving the business. Marino starts his new gig August 4. We’ll begin this week in CANADA, where CTV is consolidating its hold on the broadcast outlets that carry its network signal across the country. Out in Vancouver, the CTV-owned “VTV” (CIVT Channel 32) is about to begin carrying CTV network programming after several years as an independent, and back East, the network has struck a deal to acquire its Montreal affiliate for a whopping C$ 121,500,000. CFCF-TV (Channel 12) was part of the WIC group that merged with Global earlier this year, causing all that shuffling out west as well. In Montreal, though, Global already owned CKMI (Channel 46), which meant CFCF needed to be put in trust until a buyer could be found. CTV and parent BCE were the obvious choice, since CTV has been on an acquisition spree that’s snapped up almost all of the stations that were once privately-owned affiliates. (You’d have to look all the way to St. John’s, Newfoundland, we believe, to find the biggest private CTV affiliate remaining!) What will become of CFCF’s distinctive on-air look and its “Pulse” newscasts when the Great Homogenizers of CTV take over? We suspect the generic blue set and CTV logo will end up gracing CFCF once the deal closes…we’ll keep you posted. We’ll cross back to the States in NEW YORK, noting that Buffalo’s WWKB (1520) is still running that business format (with no legal ID noticed on one recent top-hour break) instead of the promised 70s pop, and there’s no sign of Opie and Anthony on WCMF here in Rochester, either. I was ready to “Break the news” about WUMM Machias, as I was down there this past week and was surprised to see their new tower went up so quickly, even got some pics, …but somebody beat me to it! Unfortunately it was off air, so I can’t give a report on reception or programming. Will head down there again in a couple of weeks.